We heard about The Beach Plum from Facebook pal, Steve Allan. Steve saw that we were chronicling our lobster roll experiences this summer and made a strong push for us to include the Plum. We’re glad he did! 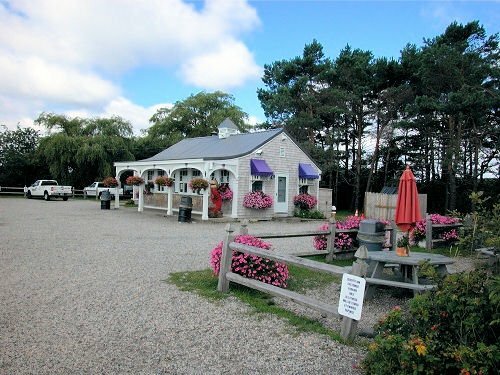 In fact, The Beach Plum spent a fair amount of time in each of our Top-3 lists. Our visit to the Plum was exactly half-way through a 40-mile road ride. So, when we finally pulled into the parking lot we were both VERY ready for a high quality lobster roll, and a bit if hydration. As such, we opted for the 10 oz. “Super Jumbo” over the standard 7 oz “Jumbo.” This increase in size by just under half is a true bargain, with only a slight increase in price from $16.49 to $19.49. We try not to get caught up too much on price, but this deal means that you’re getting the first 7 oz. for about $2.35 per oz., while the additional upgrade to the Super Jumbo costs you just $1 per 0z. – or, about 60% discount per oz. on the upgrade. Anyway, enough about economics… just know that this roll is BIG! It’s also delicious! Top quality lobster meat with just a bit of mayo. Steve points out that they have kids cracking lobs in the back, so there’s no frozen meat here. This roll is the absolute best value of any roll in our survey, which may warrant it’s own prize! We thought we recalled a grilled roll and went online to look at other people’s photos of the Super Jumbo, but because the thing is so darned big and stuffed with so much meat that we couldn’t find any photos that clearly showed the outside of the roll! 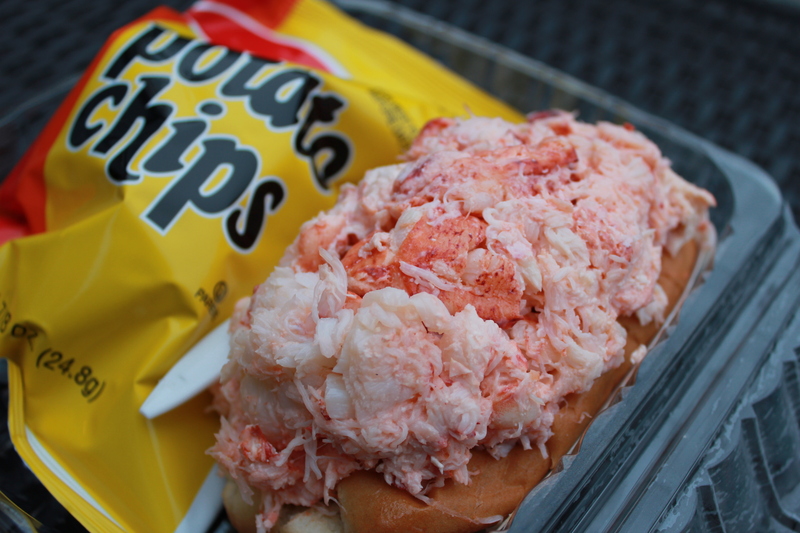 We forgot to take photos during this trip, so this snap is borrowed from Jax House, while the top snap is borrowed from New England Lobster Roll Reviews. We’ll be happy to remove the images upon request. Awesome Tom!! Loving the Chronicles! !